As you've probably guessed, no one quality or characteristic can make a character interesting. Jim Butcher puts it like this: While no one characteristic can make a character interesting, there are five qualities that "consistently make a team contribution". Let's examine each of these qualities in turn. Interesting characters are extreme characters. Think of Stephen King's character, Carrie, from the book of the same name. Carry White, a traumatized young girl, is pushed too far, snaps, and kills half her town. Carry isn't just telepathic, she's the most powerful telepath who ever existed! Or take Lee Child's hero, Jack Reacher. Reacher is 6'5'' tall, has a 50-inch chest, and weighs about 250 pounds. He is a physical wrecking machine. Jim Butcher uses one of my favorite detectives as an example when he writes "Mister Monk is not merely fussy and unstable, he is fussy and unstable to an insane degree". He really is. This is the only character I know who is scared of ... wait for it ... milk. "The major pleasures of a Reacher book are relatively simple. The ex-army major and MP, a peripatetic loner who leaves no traces except in the hearts of those he has touched, is a one-man wrecking crew, hurling bad guys into the darkness with breathtaking efficiency. In one scene, a fight in a bar, five roughnecks are dispatched within a minute. How cool is that?" Humans crave excitement. Most folks would rather read about a 6'5'' mountain of man-muscle who is a vagabond on a mission than about Joe Milquetoast, a man who makes a good wage, has 1.6 kids, takes a vacation a year; a man for whom a speeding ticket is a major event. ii. Exaggerated traits are memorable. An exaggerated, extreme, over-the-top trait captures one's imagination. This quality of being memorable is critical. What, as storytellers, are we trying to do? Among other things, we're trying to recreate a world, our story world, inside our readers' minds. The more readers remember about our characters, the more vivid and appealing this world will be. Exotic position is a kind of exaggeration, but one that is focused on place and occupation. All things being equal it's more interesting for a character to be a wizard or a CEO or even an archaeology professor than to be an ordinary dad or mom with an ordinary job. That said, it seems to me that this particular principle is especially true of action heroes and, perhaps, less true of the work-a-day characters that often populate comedies. First impressions count. When your character comes onto the page for the first time take the opportunity to do something characteristic, unique and memorable. Characteristic: We can make a character's introduction characteristic by using tags and traits. Which tags and traits are most important to the telling of the story? Those are the ones you want your readers to remember so those are the ones that should be showcased when introducing the character. Memorable: Although just about anything can serve as a tag, it helps if it is memorable (something exaggerated, fun, or linked to a significant event in the character's life). So, for instance, Jim Butcher has made Harry's staff one of his tags, as well as his shield bracelet. He gets bonus points for linking these tags to significant events in the character's backstory. Although Indiana Jones is on-screen from the movie's beginning, the character is introduced the first time we see his face. In that scene he uses his whip to disarm an associate who is about to shoot him in the back. This scene introduces many of Indy's tags and at least one trait. His whip is a tag, as is his leather jacket and high-crowned, wide-brimmed, sable fedora. Traits that are consistently reinforced in the trailer are his keen sense of hearing, a well-honed survival instinct and a sense of compassion and fair play. One sister, Anna, pushes the other, Elsa, to use her gift and, ultimately, attempt to do things she doesn't have the control to do. At the same time, we see that Elsa has an unusually strong ability to "create and manipulate ice and snow." Throughout the movie Elsa struggles to conceal and control her abilities. Elsa's actions throughout most of the story are driven by her fear that she will harm others, especially her younger sister, Anna, who she loves dearly. All this is encapsulated in the scene that introduces Anna and Elsa. We see Anna's naive exuberance as well as Elsa's budding gift and the potential for disaster that lies within it. All things being equal, the character should be doing something that only they do, something that is exaggerated, over the top. Something that will allow the reader to grasp--and remember!--the essence of their character. Butcher does this with his wizard, Harry Dresdon. But, still, puppies. Can you get cuter than that? A litter of them. Talk about pulling one's heartstrings. It's a terrific read; not a bad one to start the series with. If you haven't read Butcher's Harry Dresdon novels, think James Bond. If you've never heard of James Bond, the opening sequence of the movie will tell you everything about him you need to know. Curvy young woman (not wearing enough to clothe a toothpick) swoon over him, he is suave, a skilled fighter, and a stone cold killer. In general, you want the reader to be able to think, afterward, "Yes, that was so them." Like Harry Dresden nuking a huge demon-monkey in the opening pages of Jim Butcher's Blood Rites. Even though your character is a pseudo-person they need to be true to life. If a character isn't true to life they're not going to be believable and unbelievable characters are boring characters. A character has to be believable in their actions, their responses, their thoughts and their dialog. Showing a character's emotions to the reader is a huge part of creating a character that is true to life. There are two tools of the trade that can help a writer out here: first, what I'm calling mini-sequels and, second, tags and traits. Jim Butcher writes that the best way for giving the reader the sense that your character is "a whole, full person with his own life outside the purview of this particular story" is by showing your character's emotions, reactions and decisions. That is, show how the one leads naturally into the other. Events happen and rounded characters react to these emotions believable in a way unique to them. If you haven't read Jim Butcher's posts about scenes and sequels and aren't quite sure what they are, I highly recommend them. "TAGS are words you hang upon your character when you describe them. When you're putting things together, for each character, pick a word or two or three to use in describing them. Then, every so often, hit on one of those words in reference to them, and avoid using them elsewhere when possible. By doing this, you'll be creating a psychological link between those words and that strong entry image of your character." "A tag is a label. "You hang tags on story people so that your reader can tell one character from another. An impression [...] is created by the tags a character bears. "Black hair is a tag. It helps distinguish the raven-tressed girl from another who’s a blonde. "A stutter is a tag. It sets apart one character from others who speak without impediment. "Shuffling your feet is a tag. It keeps people from confusing you with your friend, who strides along. "Pessimism is a tag. It marks its victim as different from the joker. "Tags also may translate inner state into external action. Each time the brother in Arsenic and Old Lace shouts “Charge!” and dashes up his imaginary San Juan Hill, we’re reminded that he lives in a private world." Dwight V. Swain goes on to describe four different categories tags fall into: appearance, speech, mannerism and attitude, but that is outside the scope of this article. "This [tags] is a really subtle psychological device, and it is far more powerful than it first seems. 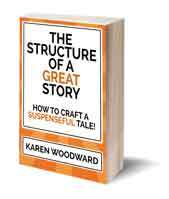 It's invaluable for both you as the writer, and for the construction of the virtual story for the reader." "Tags of attitude—sometimes called traits—mark the habitually apologetic, fearful, irritable, breezy, vain, or shy. Obsequiousness is an attitude, and so is the habit of command. Here, too, are found the men and women preoccupied with a single subject, whether it be golf or babies, business or yard or stamps or fishing. For all preoccupations, in their way, represent habit of thought or view of life. "The key thing to remember about tags is that their primary purpose is to distinguish . . . to separate one character from another in your reader’s eyes." After all, if the reader has trouble telling one character from another--or, worse, can't remember the character--then they can't be very interesting. "If you do your job, you will create a sense of empathy in your reader for your characters. This is what makes people burst out laughing while reading. It's what makes readers cry, or cheer, or run off to take a cold shower. "Like V-Factor [verisimilitude], empathy takes time to build and it relies heavily upon the skilled use of sequels. But if you can get the reader to this point, as an author, then you WIN. Big time. This is the ENTIRE GOAL of all this character work, because the reader's emotional involvement is the single most important factor in how well your story is going to fly. "Or put another way, if you can make people love who you want them to love and hate who you want them to hate, you're going to have readers coming back to you over and over again." That's it! 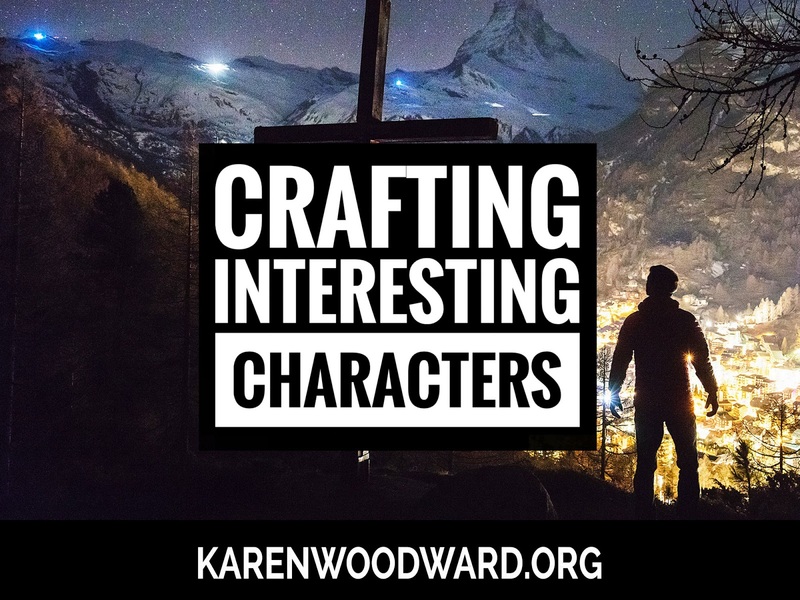 I said, in the beginning, that this post was about characteristics that make a character interesting but, really, I think it's more about avoiding things that could make your character boring. 2. Why I love Lee Child's Jack Reacher novels. The Guardian, August 2013. 4. Dwight V. Swain, Techniques of the Selling Writer. 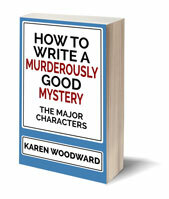 Hey Karen - Another fine post- and glad to here you're putting them together in a book! I'll be in line to buy it. Thanks Michael, I'm glad you enjoyed it, and thank you for the (much needed!) encouragement. My idea is that I'll blog the book. Many--most--of the chapters are done, at least in draft form, but I'm finding it difficult to motivate myself.